Maria Andrea De Luna is the president and CEO of Maria De Luna Immigration Services, Inc. She is a licensed immigration consultant for Canada registered with the Immigration Consultants of Canada Regulatory Council * (ICCRC). 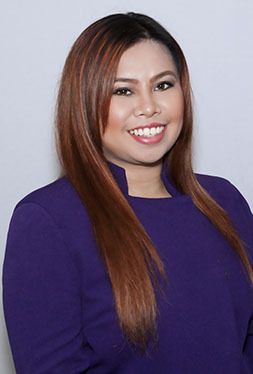 Since 2004, Maria has had solid professional experience and knowledge of Canadian immigration laws and issues having been the co-owner of AIMS Human Resources and Immigration Inc, an Immigration Paralegal for Bennett Jones LLP, both in Calgary, Alberta and an Immigration Legal Assistant for Royal Prestige Immigration in Montreal, Quebec. She graduated with a degree in Psychology from Concordia University in Montreal. Prior to that she was also a student in Psychology and Counselling at the St. Scholastica's College in Manila, Philippines. She took her Immigration Practitioner diploma at Bow Valley College, and has had paralegal academic background as well. Maria is a sworn Commisioner for Oaths for the Province of Alberta, Canada. Having experienced being an immigrant herself, she knows, firsthand, what prospective immigrants go through before and after landing in Canada. This experience is the reason why she lends her personal touch in dealing with her clients and help them realize their own dreams of living in Canada. She recently became a recipient of the Entreprenuer of the Year award from The Filipino Champions of Canada (TFCC). * ICCRC is the national regulatory authority designated by the Government of Canada. The council protects consumers who seek Canadian immigration advice and representation from immigration consultants. Canadian federal law requires that immigration consultants in Canada or abroad, who provide Canadian immigration services for a fee, must be registered with ICCRC and accredited as Regulated Canadian Immigration Consultants (RCICs).